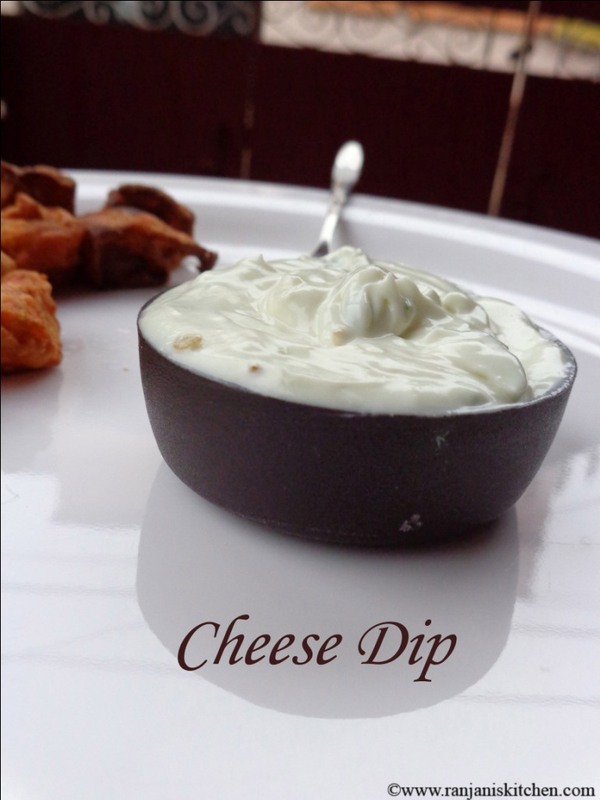 Chilli Cheese Dip – Dips are perfect for appetizers to serve in parties. I had a stock of processed cheese I must over it with some interesting and tasty recipes. Instantly my mind turns to some dips .Why don’t we enjoy our simple starters with home made dips. 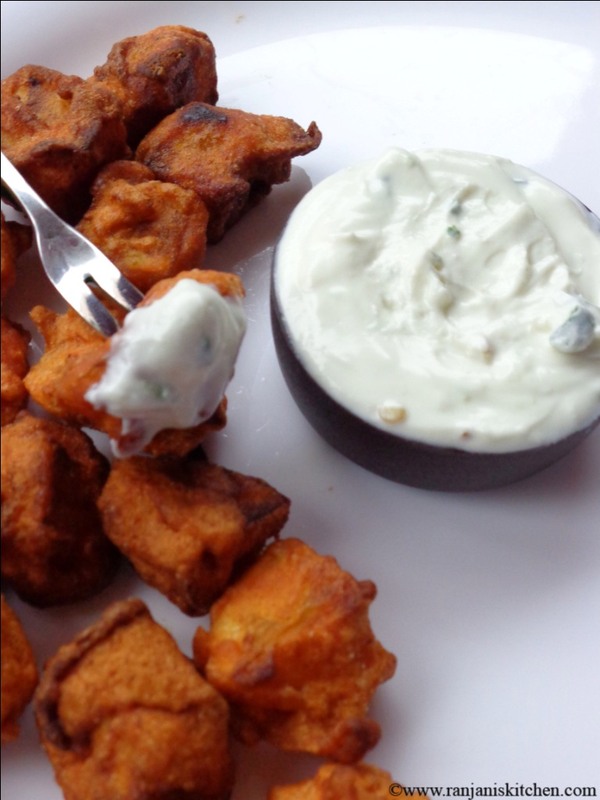 Restaurants are the only place to enjoy some creamy dips for the hot tandoori’s and grilled ones? Nope not at all. We can simply make in our dining with two steps. I had a good feeling that I can prepare some good tasted dips at home. But I was worried about the taste. Oh nooo it tastes exotic really. Now I need a hot spicy starter to taste this. No worries I have potatoes to do something.But I practiced to taste dips with some restaurant styled starters. Now my tongue needs the sharp taste of the same kind. Quickly I made 65 mix with my short avail ingredients and prepared potato 65 with cubed potatoes to enjoy this dip..
Wahhhh.. it tastes heavenly in this rainy eve..Rain god!!! Thanx a ton to give this wonderful weather. Here in Chennai heavy rain for two days…. Plateful of hot stuffs and bowl of chilli cheese dip with cup of aromatic coffee….. watching rain on window side….melodies of ilayaraja to hear….wat else I can ask for? 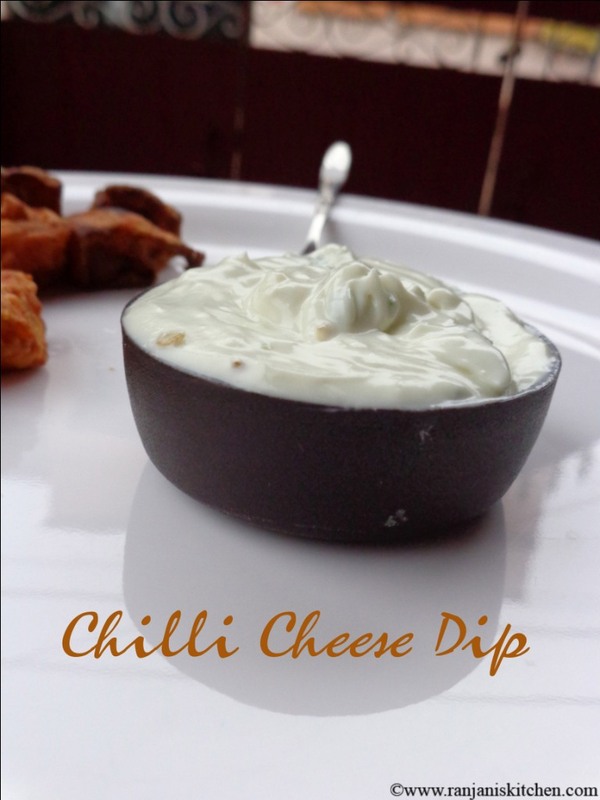 I promise the add-ins of minced chilli will give southern touch to this dip. Take processed cheese and fresh cream to the mentioned level and let it to reach room temperature. Then add it to blender along with salt and blend it.It will become creamy and frothy. Add minced green chillies and give a quick blend. If the cream is too thick, add milk to get a creamy texture. Do not skip addition of green chilli. It’s a great taste enhancer for this dip. Add milk if the dip is too thick while blending.